Mitochondria play a fundamental role for the metabolism of the cell. They produce the main energy for cellular functions and are therefore known as the powerhouse of the cell. Defects in mitochondrial metabolism cause a number of severe diseases of the heart, muscle or nerve systems. Mitochondrial function depends on the exchange of metabolites with the surrounding cell. Therefore, metabolites have to be transported across the two surrounding membranes. 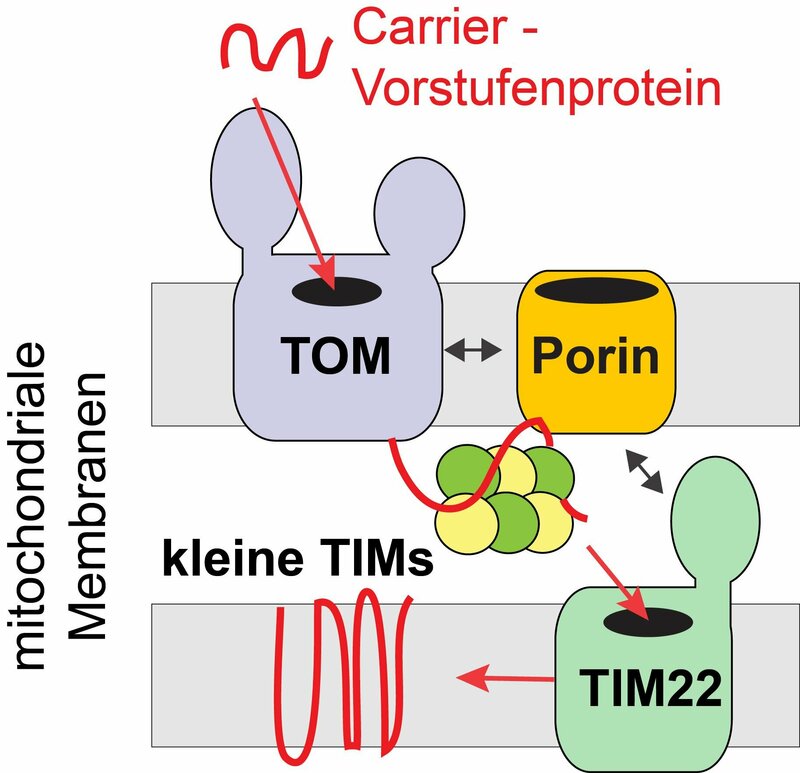 The voltage-dependent anion channel porin/VDAC allows transfer of metabolites across the outer membrane. The inner membrane is equipped with specific transporters, the carrier proteins, which transport metabolites across the inner membrane.